A pod (as in a pod of whales or pea pod) is a group of one or more containers (such as Docker containers), with shared storage/network, and a specification for how to run the containers. A pod’s contents are always co-located and co-scheduled, and run in a shared context. 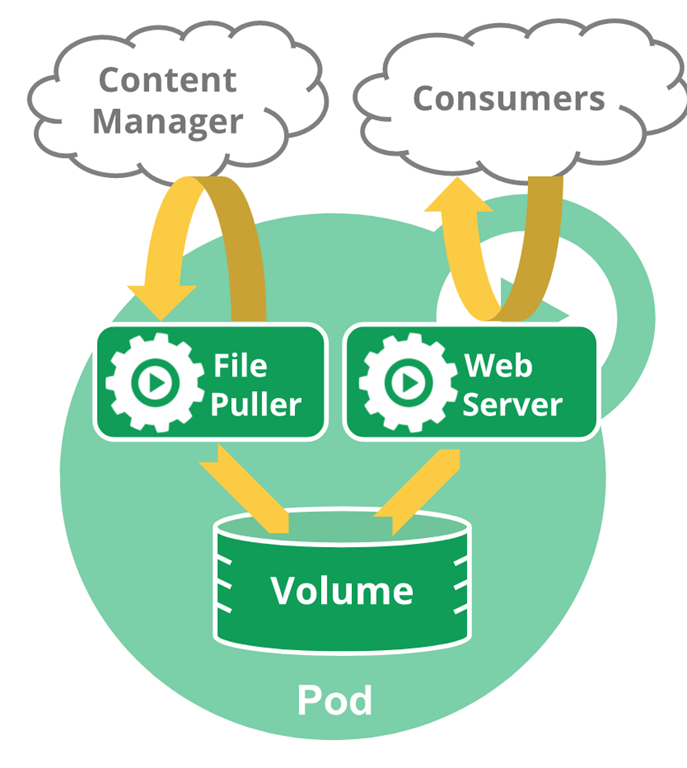 A pod models an application-specific “logical host” – it contains one or more application containers which are relatively tightly coupled — in a pre-container world, they would have executed on the same physical or virtual machine. The shared context of a pod is a set of Linux namespaces, cgroups, and potentially other facets of isolation – the same things that isolate a Docker container. Within a pod’s context, the individual applications may have further sub-isolations applied. Ok so that’s the official low down. So what can we extract from the above paragraph that will help us understand a bit more about how to get what a POD is, and how we can create our own ones? Alright, so now that we know that, we can get to work with some of this. 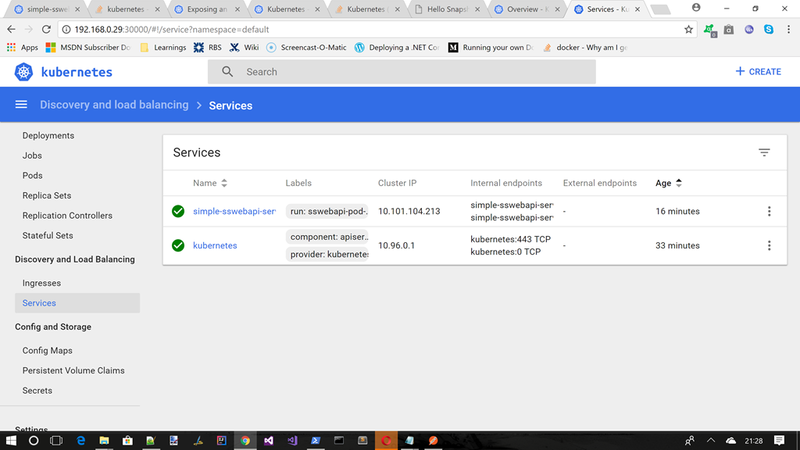 What we can do is think up a simple demo app that would allow us to exercise some (though not all, you will have to learn some stuff on your own dime) of the Kubernetes features. In that route the [IP_ADD] is of much interest. This will ultimately be coming from Kubenetes. Which will get to by the end of this post. 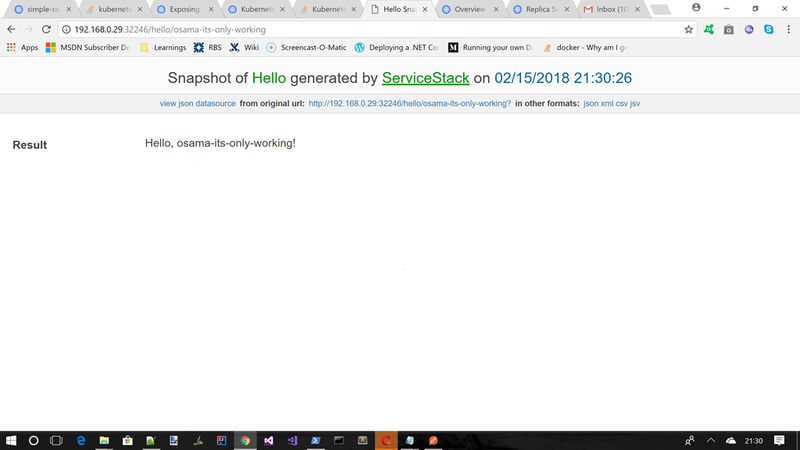 So What Does The ServiceStack API Look Like? 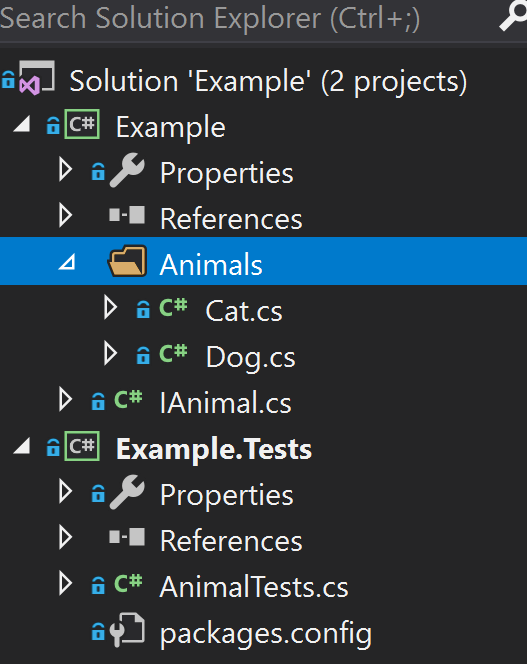 I don’t think there is that much merit in walking through all this code. I guess the only one call out I would make with ServiceStack is that it uses a Message based approach rather than a traditional URL/Route based approach. You can still have routing but it’s a secondary concern that is overriden by the type of message being the real decided in what code gets called based on the payload sent. Obviously since we know we need an image for Kubernetes to work properly, we need to create one. As we now know Kubernetes can work with many different container providers, but it does has a bias towards Docker. 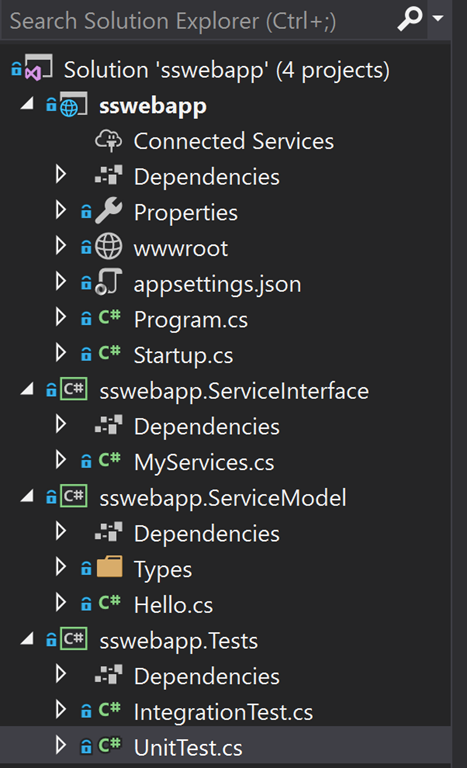 So we need to Docker’ize the above .NET Core Service Stack API example. How do we do that? The obvioulsy issue here is that we have a bit of software locally we want to package up into a Docker image and use in MiniKube which is also on our local box. 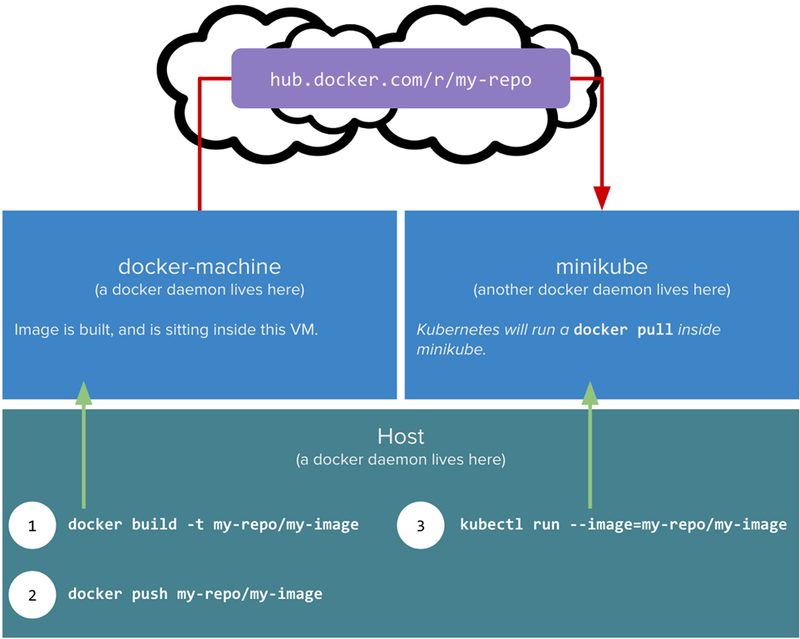 However the Docker daemon in MiniKube is not the same one as outside of MiniKube. 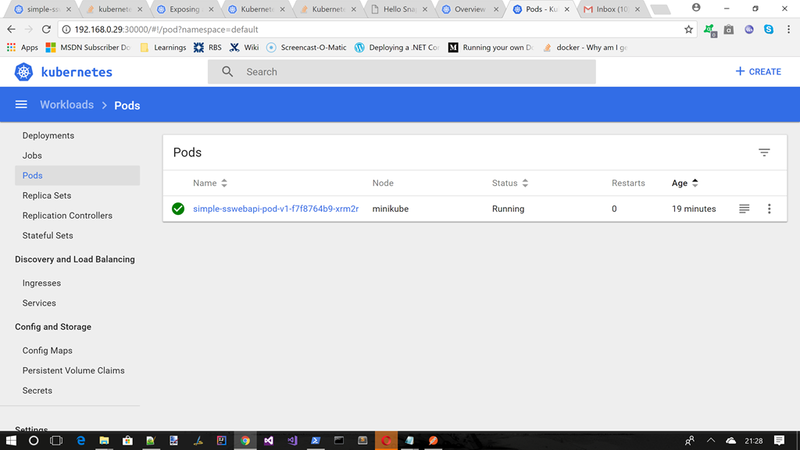 Remember MiniKube is in effect a VM that just runs headless. There is also more complication where by MiniKube will want to try and pull images, and may require security credentials. We can work around with this by creating a private docker repo (which I will not use in this series but do talk about below). 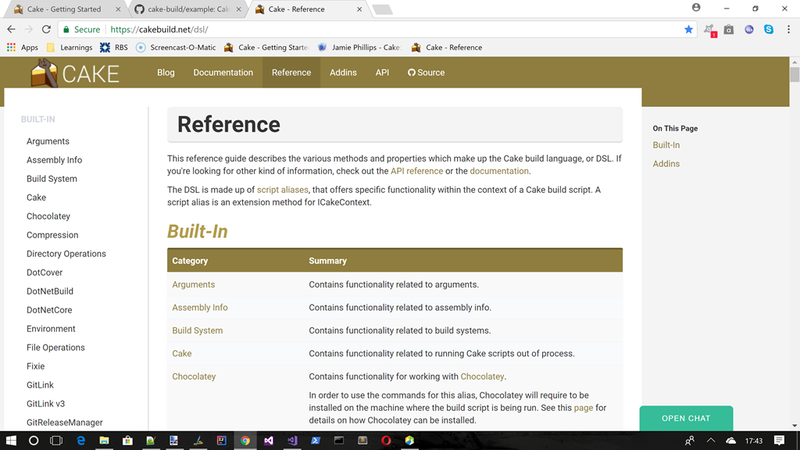 The article linked above and the other one which I mention at the bottom are MUST reads if you want to do that with MiniKube. I did get it working, but however opted for a simple life and will be using DockerHub to store all my images/repos for this article series. Ok now that we have a DockerFile and we have decided to use DockerHub to host the repo/image, how do we get this to work in Kubernetes? Ok with that now in place we need to get the actual Docker image up to DockerHub. How do we do that part? 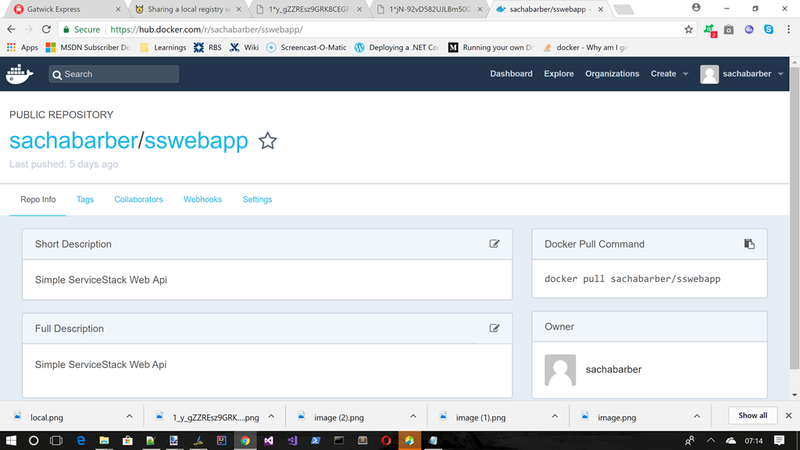 docker build -t "sswebapp:v1" . So we now have a DockerHub image available, we now need to get Kubernetes to use that image. 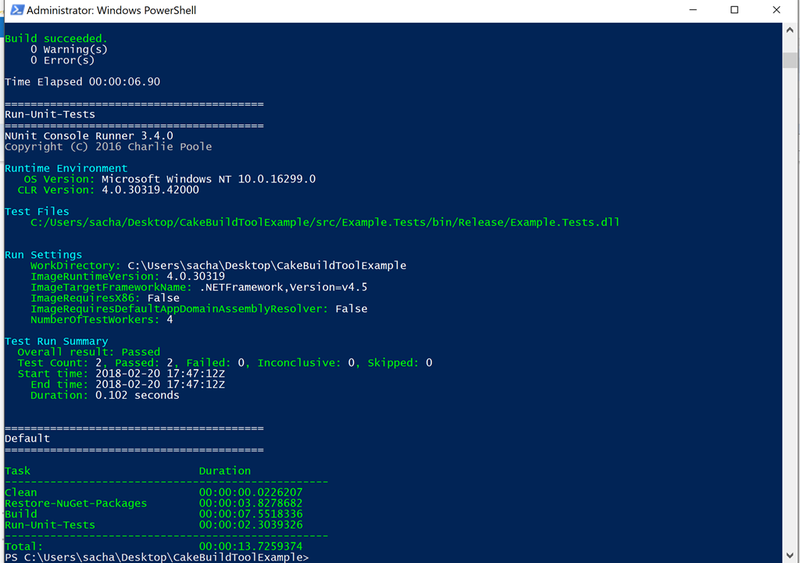 With Kubenetes there is a basic set of Kubectl commands that cover most of the basics, and then if that is not good enough you can specify most things in YAML files. So this is how we can create a POD which must be exposed via something called a service, which for now just trust me you need. We will be getting on to these in a future post. What Would All This Look Like In YAML? So above we saw 2 lines that create the deployment and one that creates a service. 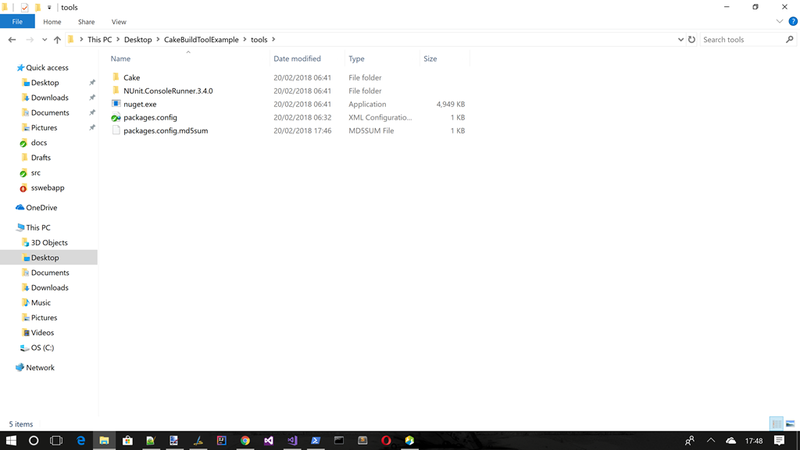 I also mentioned that the Kubctl.exe command line will get you most of the way there for basics, but for more sophisticated stuff we need to use YAML to describe the requirements. Lets have a look at what the Deployment / Service would look like in YAML. Now that we have all the stuff in place, and deployed we should be able to try things out. Lets do that now. One of the best things about Kubenetes in my opinion is that is is declarative in nature, not imperative. This is great as I can just say things like replicas: 4. I don’t have to do anything else and Kubernetes will just ensure that this agreement is met. We will see more of this in later posts, but for now just realise that the way Kubernetes work is using a declarative set of requirements. This workflow will setup a private Docker repository on port 5000, that will be used by MiniKube. This obviously saved the full round trip to Docker Cloud. Obviously you will need replace bits of the above with you own images/paths, but that is the basic idea. 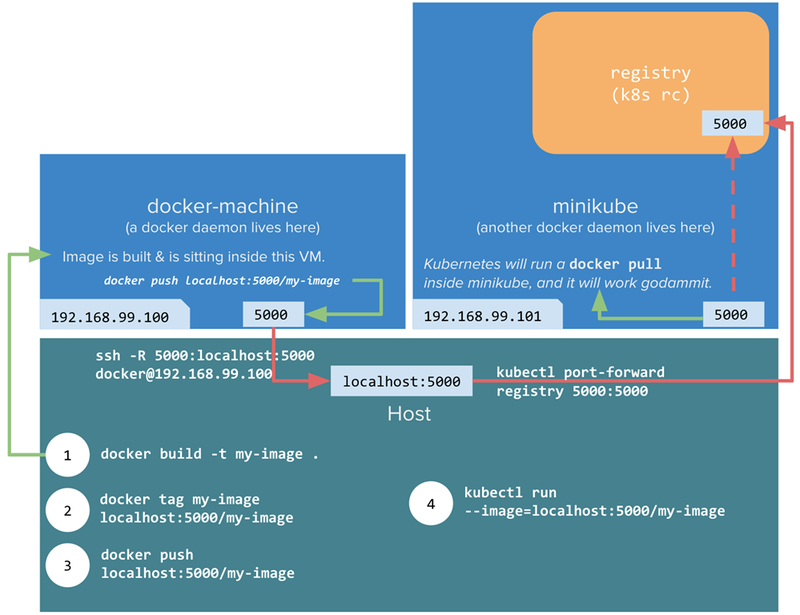 Minikube ONLY supports Docker Linux Containers so make sure you have set Docker to use that NOT Windows Containers. You can do this from the Docker system tray icon.